It doesn’t matter if you’re still in your teens going through hormonal changes or are well past those days, acne can happen to anyone. There are several solutions out there, but in order to choose the right one you have to make sure its effective. Natural options usually take longer than OTC drugs and traditional methods, but it’s a lot less expensive and safer. We usually associate this with sunburn, but Aloe Vera has several beneficial properties. The juice is great for treating acne lesions, inflammation, and fighting bacteria. This home remedy can be ingested, but is also sometimes available in a tropical variety. Hepar Sulfur originates from the innermost layers of an oyster’s shell. Does your acne hurt when you touch it, and does it easily bleed? If so, then you should consider using Hepar Sulfur as a remedy. In today’s world it seems as though honey is used for everything. When it comes to adult acne it can help kill the bacteria in your existing acne, and prevent others from forming. This was used as a sedative in the good old days. however, today you can consume this salt up to 6 times a day to get rid of the itching symptom. This is very helpful for individuals who have acne problems on their back, but it will keep you from irritating them even more. When you have inflamed acne that becomes extremely painful, silicea is used to make the pain go away. Probably one of the odd choices due to its smell, sulfur is great for fighting germs. It can help treat various acne levels, especially when they’re inflamed. 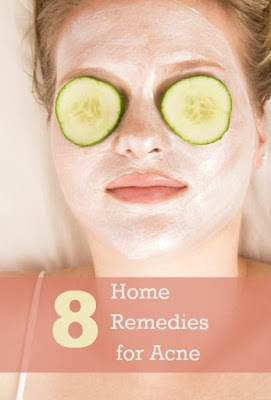 It will also remove the dead skin cells while killing the bacteria in the acne. Let’s just say this really gets to the root of the problem. This substance is often used for its effectiveness in battling fungi and germs. Tea tree oil is most effective for treating acne that’s mild or moderate. While Tea Tree Oil functions much like benzoyl peroxide does in its treatment of acne, the former is much milder-and thus less likely to irritate your skin. Vitamin E can do wonders for your skin, particularly as an antioxidant. Thus, you could apply liquid Vitamin E to your skin as an acne treatment. You now have a lot of choices in front of you. It’s possible that you have 3 or maybe even 4 of these in your home already. If not, be sure to give them a try. You might find it’s the cheapest way to get rid of your acne or some of the symptoms.